Saunderton | Where Angells Tread! I forget where I got this walk from. I think it might have been a Ramblers walk. It’s obviously been put together by someone who knows what they’re doing and it’s the best walk we’ve done in a while. 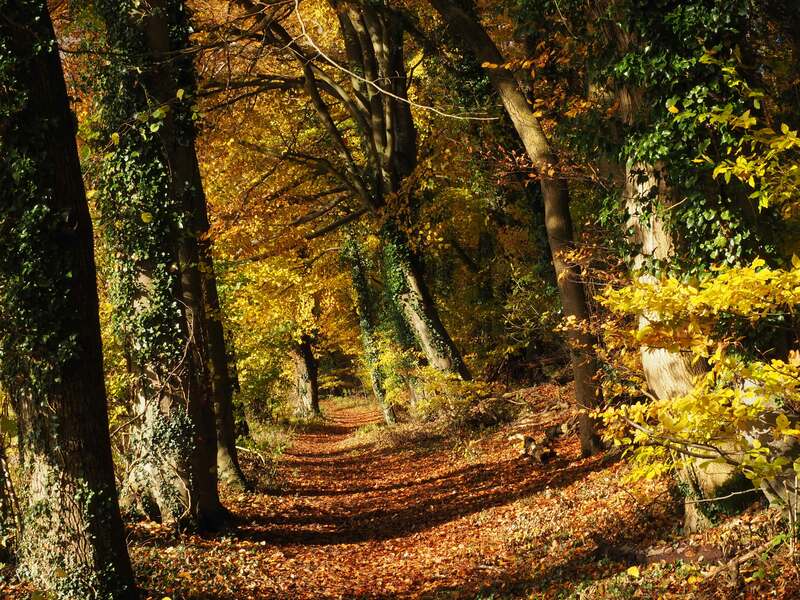 If you’re planning to do an autumn walk on the Chilterns, make it this one! Added to which, we hit the perfect weekend as autumn colours reached their peak and greens have finally turned to yellows, reds and browns. We’ve walked around this area a lot over the last 18 months…so much so that for large parts of this walk we were reminding each other of when we were here last. The weather was perfect. Yesterday’s rain had given way to a cold North Easterly and by midday the sun was out. From Sunderton Station it’s a gentle climb to Bledlow Ridge before dropping down through Yoesden Woods to Radnage. We were here only a few weeks ago. Retracing some of that walk, we leave Radnage by way of Horseshoe Lane and the fields beyond. 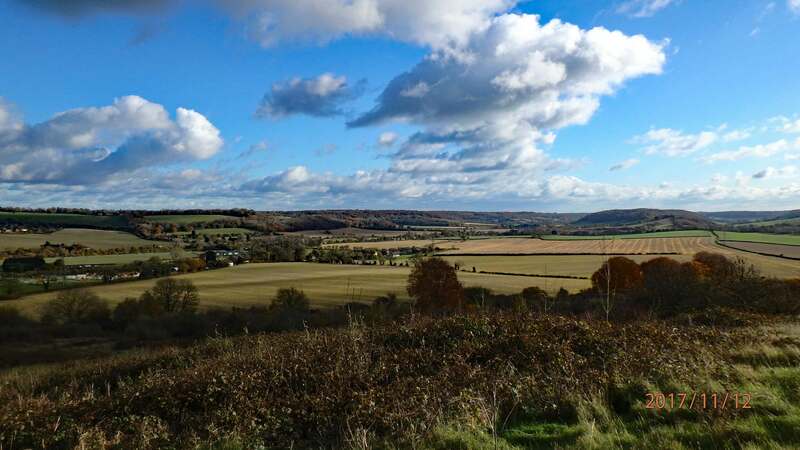 I think these are some of the best views in the Chilterns…picture post card perfect…especially today. 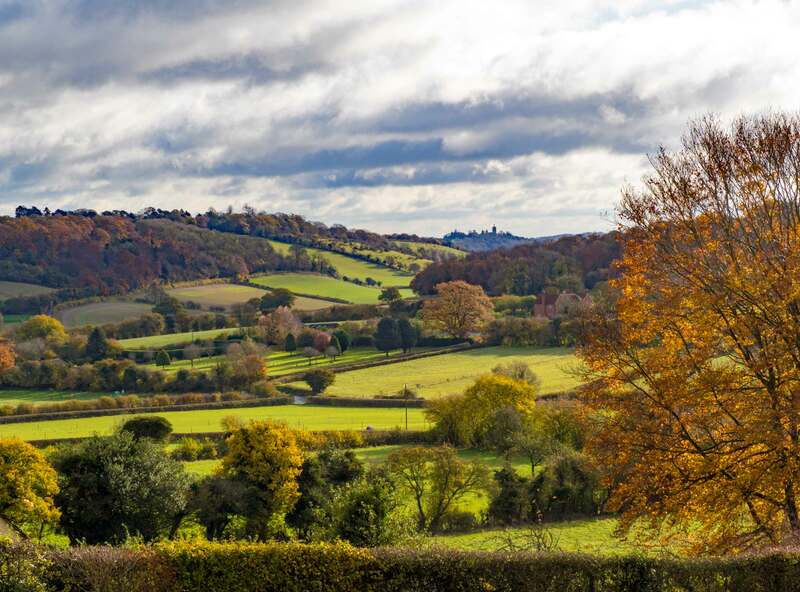 Crowell Wood is a riot of greens, red, yellows and browns and our pictures don’t do it justice. Back to Radnage before a loop out to Lodge Hill and then the long walk along the valley back the Saunderton Station. It’s 11.8 miles but it doesn’t feel like it because we’ve been enjoying the colours and views.